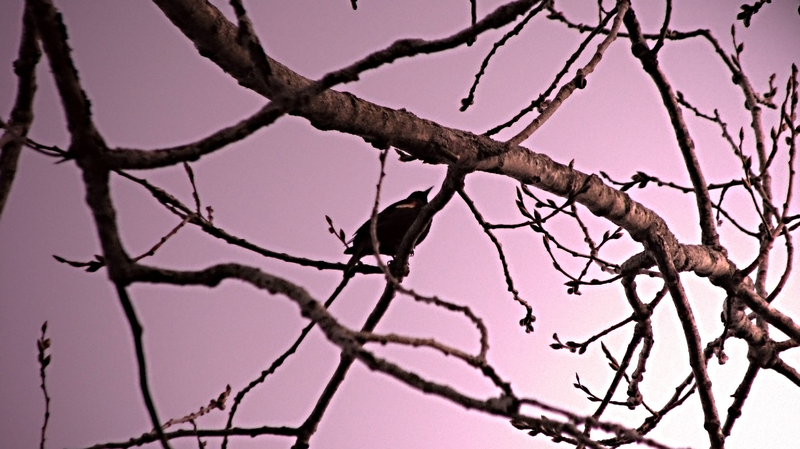 Last evening I was walking by a lake and found this bird on the branch of the tree. I was overwhelmed seeing the energy of the bird and was also sure of getting an outstanding picture of the bird on the dark zigzag branches. The tiny bird’s movement were too brisk to be captured neatly but she cooperated with me by sitting there for nearly 5 minutes giving me enough time to experiment with various modes of my camera. The picture is taken in Shutter Speed Priority mode in Neutral light to capture the clear image of the moving bird. The setting sun effect in the bottom right is created using Render/Lighting Effects Flood light option. Photo Filter is used to get the nightfall reddish color to the sky and the Unsharp Mask sharpens the image by increasing contrast along the edges in the image.